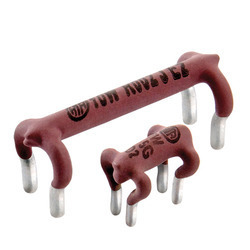 Hi-Tech Resistors Pvt Ltd popularly known as HTR worldwide in the Electronic component industry was establish in 1988 with a mission to provide international quality wire wound resistors to the Indian Electronic Industry. HTR has now transformed itself into a provider of resistive devices for multiple Applications. Equipped with an ISO/TS 16949:2009 qualification HTR provides a cost effective solution to Industries from Automotive to LED lighting to Industrial Applications and apart from wire wound resistors, HTR’s offerings now include low Ohm current sense shunt resistors & special purpose safety fusible resistors which conform to UL 1412. HTR provides solutions to the Automotive sector through its range of multiple speed Ceramic resistors for HVAC & Engine cooling applications & special purpose punched out and SMD shunts for use in multiple applications such as electronic steering and braking applications, as well as a wide range of applications both for conventional petrol as well as hybrid car or electric vehicles. HTR exports more than 75% of its production to 43 countries worldwide both directly to its customer and through its network of distributors. HTR main markets are Europe & China with Germany being its biggest single market. HTR’s Design and QA laboratories are certified to ISO / TS 16949: 2009 to build and test quality at the source. HTR’s products are AEC – Q – 200 Qualified as per the latest Automotive industry standards. Keeping the LED lighting industry & power supply industry in mind HTR is in a position to provide pulse resistors having the ability to with stand up to 15KV as per IEC 61000-4-5. In our endeavor to encourage young engineers both within India and around the world, HTR is happy to provide free samples for experimentation and testing. Incorporated in 1986 as a specialist producer of fixed wire wound resistors, HiTech Resistors has now transformed itself into a broad based manufacturer of Wire Wound, Low Ohm Current Sense Resistors, and Fusible Resistors with through hole and SMD terminations. HTR now has the ability to offer techno-economic customized resistors for a wide range of applications. 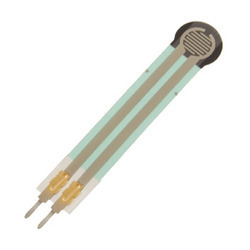 These current sense resistors (electron beam welded) are predominantly used in automotive application in the DC/DC convertor output block and in battery management. 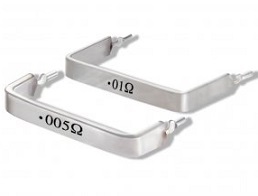 Further since these electron Beam welded metal band resistors can be made having resistance value much lower than thick film devices, they have the added advantage over thick film devices by being able to exploit the property of the latest IC's which can now measure even the smaller potential differences. a resistor that changes its resistive value (in ohms O) depending on how much its pressed. These sensors are fairly low cost, and easy to use but they're rarely accurate. 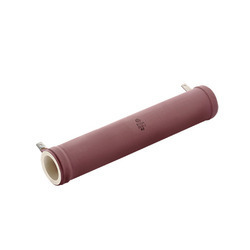 RL - Axial Round Ceramic Tube - Low inductance. 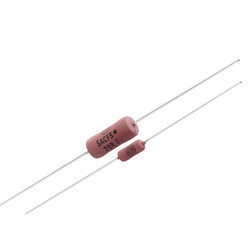 HCAL - Axial, Cement type, Low inductance. 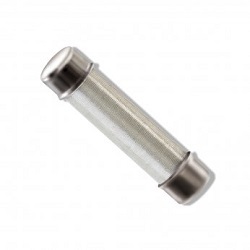 HEAL - Axial, Ceramic square tube style, Low inductance. HMVL - Flat vertical mounting, low inductance types. BR - Slim type, Metal Plate, Low inductance type. FRC - Cement bath tub fusible type. 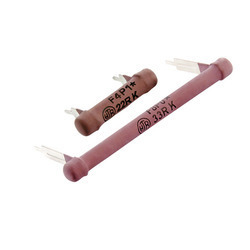 Resistors of Series K, wound on fiber glass core, have a special internal direct contact to virtually eliminate resistance changes caused by varying, often high temperatures. HCA - Axial, Cement type, General Applications. HCV - Vertical, Cement type, Fitted with heatsink mounting bracket. HCW - Axial, Cement type, Industrial Applications, pulse applications. HEA - Axial, Ceramic Square tube style, General application. HSVA - Axial, Ceramic housing with slit. HSVAU - Axial / Vertical dual style ceramic housing with slit. HSV - Vertical, Ceramic Housing with Slit for mounting support. HCP - Horizontal PCB style - Cement type. HCL - Lug terminations, Cement type with bracket. HMV - Flat Vertical mounting, with Ceramic stand - Off. HIA - Axial Industrial grade - MIL Sizes. HTA - Axial, Industrial grade - JSS / IEC Sizes. VHIA - Axial, Industrial grade. HFA - Axial, Commercial, F/Glass Core. HIP - PCB style, Industrial grade. HFP - Plug in style, F/Glass Core. HSR - Capacitor discharge symmetry resistors. Reduces RFI during electrical discharges on petrol engines in cars and in scooters / motorcycles.